Patterns from the Past: As Seen on TV! Over the summer I was contacted by the costume department from the TV show: American Horror Story. I waited with baited breath to see if the pattern would show up in the first show. Sure enough it did. 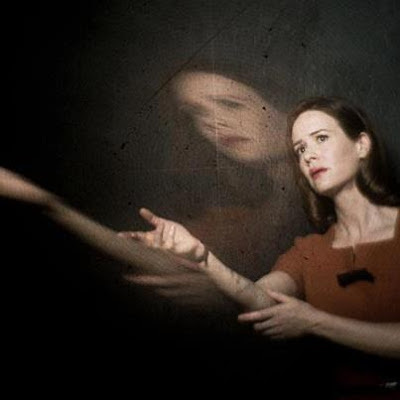 It was for Sarah Paulson's character Lana Winters. 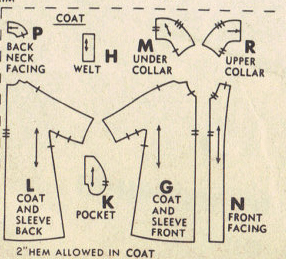 The only thing they changed on the pattern was the back of the collar on the coat! The dress is very simple (only 4 pieces). The coat is only 2 main pieces, using a kimono sleeves. A kimono sleeve pattern doesn't use a set in sleeve and jacket and the sleeve are one large pattern piece. I love square neckline with the cut out on the front of the dress. It is wonderful that they kept the bow detail. It is wonderful when the costume department uses vintage sewing patterns to get the correct era clothing. 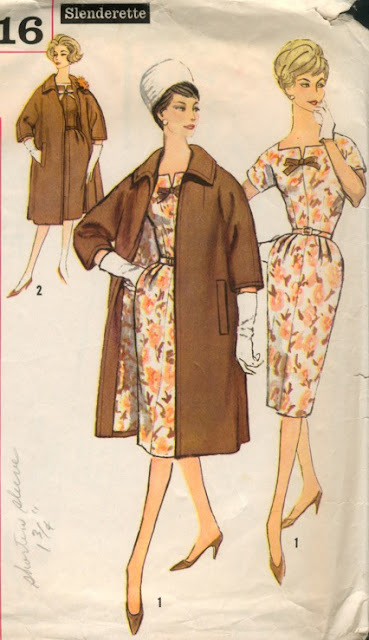 Please check out my website (Patterns from the Past) for some more fun fashions from the 1960's and other eras! Congratulations! How exciting to see one of your patterns actually sewn up and "in production" in a television show. That's a great dress - and I notice they stayed true to the colors too. Cool!